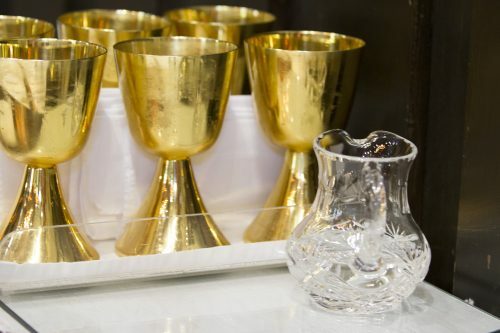 Sacristans care for altar cloths, vestments, candles, and sacred vessels; they are actively involved in preparation for feast days and holy days. There are many different parts to this ministry: opening and closing the church; setting up and cleaning up in preparing for each Mass; and caring for the linens and candles. There are many wonderful quiet ways to serve our Lord, and the smallest details do not go unnoticed or unrewarded by our beloved Master. This is a labor of love as you are setting the table for the Lord’s Supper. For more information or to serve as a sacristan, contact the Sacristans Ministry.